On Sunday my son and I went to a really fun event-- the opening launch of the game Pacman and the Ghostly Adventures at the Nintendo store in downtown NY. 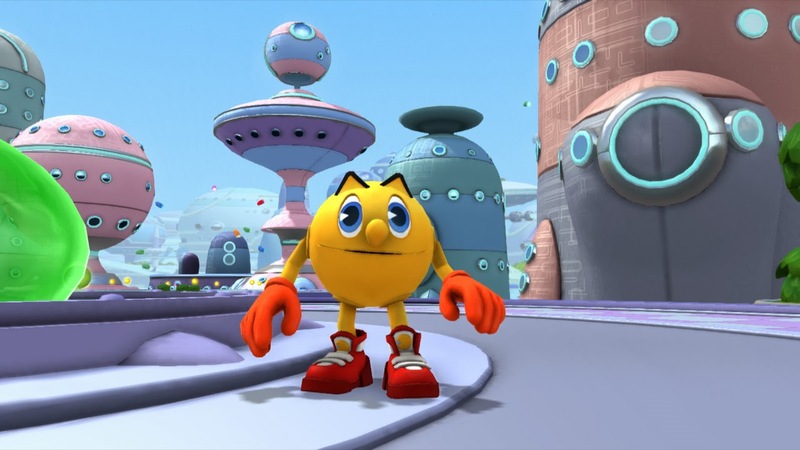 The game is based on the animated series of the same name. 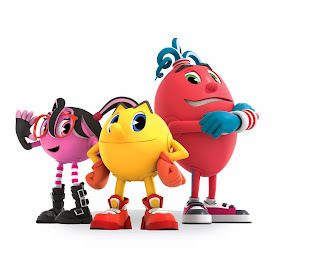 It is in its own way, an origin show about Pac-Man. The game uses characters invented and introduced in the series to help Pac save the world. DISCLOSURE: I was provided a free copy of this game, along with some treats at the event. I have not been paid for this post, and my opinion has not been influenced by the free-ness of the game. The story of the game begins as the menacing ghosts escape from the creepy Netherworld to invade PacWorld. These frightening ghosts, ghouls, and goblins wreak havoc on the population and cause nothing but trouble wherever they go! Pac and his 2 best friends Spiral and Cylindria rise to the challenge of protecting their home and embark on an epic battle. Pac and his pals go on to save their world in a big, bustling, bonkers world of action, adventure, and just plain wackiness. All the while fighting for: Friendship, Freedom and the Future! The game looks like a lot of fun (and so does the game system, the Wii U. This was my first time playing with a Wii U for more than a couple of seconds.) Awesome sauce! I put in my info to win one, which I hope I do! Here's a video I took of some of the game-play. It's even more awesome in person. 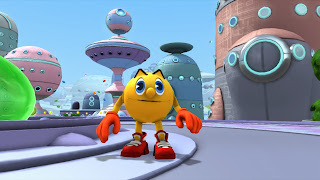 If your kid likes fun games with really amazing graphics and has already bought into the Pac-Man Universe, I think this would be a great game for him or her.